Need Help? Call 609-625-2249 x1416 for technical assistance with this site! ACIT offers a variety of Career Tech programs to suit all interests. Click on a program below to learn more about it. You probably have a lot of questions about pursuing an alternative to conventional high school. WHAT DOES IT COST TO GO TO ACIT? As a public school, there is no cost to Atlantic County residents of high school age. New Jersey Title 18A:54-20.1 entitles students the right to choose ACIT for their high school education. The campus is located at 5080 Atlantic Avenue in Mays Landing, NJ 08330. HOW DO I GET TO ACIT? Your sending district provides transportation to and from our school. CAN I GO TO COLLEGE IF I GO TO ACIT? Yes! We have graduates in private and public colleges and universities and other post-secondary institutions throughout the country. Some of our programs even earn you college credits before graduation. College Scholarships are available based on a student’s abilities and achievements. I CAN TAKE SIMILAR CLASSES AT MY HIGH SCHOOL, SO WHY SHOULD I GO TO ACIT? Our students spend approximately 1,000 hours in their academy and career majors over the course of four years at ACIT. WHAT DOES A DAY LOOK LIKE AT ACIT? We follow block scheduling which provides extended periods to allow for optimal hands-on learning. Students cycle through four 84-minute blocks in a school day during two semesters throughout the year. You can call Kelly Hoey at 609-625-2249, x 1109 or send an email inquiry to khoey@acitech.org. It all starts with creating an account on this site. Once an account has been created and verified by email you are able to login to start an application. Enter the information required in each of the sections of the online application. Once all sections are complete the application can be finalized and submitted. Important documents needed to start the application review will need to be sent over from the applicant's current school. When an application is submitted we send a courtesy email to the guidance counselor requesting the documents. It is important to remember that without these documents we can not process the application. As the parent/guardian you may need to formally request these documents. Once the required documentation is submitted the application is considered complete. The Admissions Coordinator will then complete the steps necessary to begin application review by the admissions committee. At this stage the application is reviewed by the members of the admissions committee and scored. The individual scores are used to calculate an overall applicant score. Based on the aggregate scores applicants are either accepted or remain in the applicant pool for the next decision wave. The first step in the application process is to create a Parent/Guardian account. With a Parent/Guardian Account you will be able to submit an application as well as check the status of the application at a later date. Complete the form below and click Create Account. A verification email will be sent to the email address specified containing a link to continue the application process. This website is intended to be used by the Parent / Guardian of the applicant! Check the status of an existing application! Students in the Aviation Studies program will be exposed to multiple career pathways within aviation, and will be given the opportunity to earn an Associate’s Degree in Applied Science and multiple career-recognized industry certifications including the Remote Pilot Airman Certificate with a small UAS Rating (Part 107). Students will participate in courses such as Aviation Studies, Aviation Weather, Introduction to National Airspace Systems, Air Traffic Control and Unmanned Aerial Systems. In addition, students will participate and maintain an academically rigorous schedule that supports NJ high school graduation requirements. 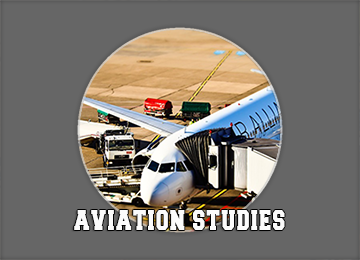 The Aviation Studies program will provide the opportunity for students to build a foundation in Aviation Studies complete with a solid comprehension of aviation sub-branches, from principles of the field to contemporary trends and career options. Students spend their first year in an exploratory program learning basic skills in carpentry, electrical technology, and plumbing. At the end of their freshman year, students select from one of the three fields in which they will concentrate for the remainder of their four years. Students in carpentry focus on proper use of hand and power tools, math, building codes, zoning regulations, plan reading, residential carpentry, commercial carpentry, roofing and utilization of the CNC machine. 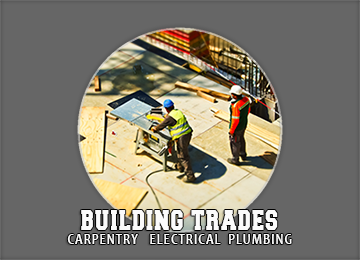 Electrical students focus upon electrical safety, tools, math, electrical theory, the National Electrical Code, residential wiring, energy management, computer networking wiring, basic hand tools and equipment, basic blueprint reading and basic circuitry and symbols. Students in plumbing focus on the importance of safety, measuring, math, hand tools, the anatomy of different fixtures, installation, excavation, plumbing systems, heating systems, leak repair, welding and blueprint reading. Program graduates earn a high school diploma and industry-recognized NOCTI, “EIF”, and OSHA certifications. Graduates are eligible for various apprenticeship programs, college or other post-secondary education programs. The Academy of Culinary Arts offers students the opportunity to prepare themselves for employment in all aspects of the food service industry. Students receive a hands-on practical experience in facilities that are comparable to those found in industry. Our Culinary Arts students have complete access to a fully-equipped, state-of-the-art kitchen facility where they experience a full-scale culinary operation. 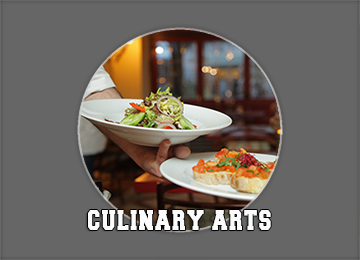 This academy offers a specialized program that includes advanced courses in baking, advanced food preparations, commercial baking, dining room services, and management. Students earn multiple college credits through articulation and dual enrollment agreements with Atlantic Cape Community College, Stockton University, Culinary Institute of America as well as The Restaurant School at Walnut Hill. Upon completion of the program, students earn a high school diploma and have the opportunity to earn certification in ServSafe and NOCTI, a widely recognized national food safety training program. America Works for New Jersey Inc. 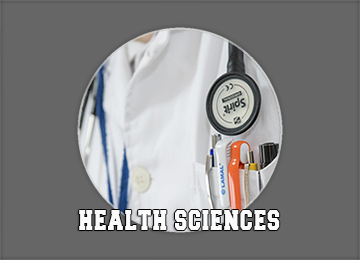 The Health Science Academy is designed for students to pursue the rigors of higher education in the medical/science fields of study. The academy prepares and gears students to enter into the many health science related careers such as a medical physician, dentist, nurse, surgical technician, physical therapist, athletic trainer, veterinarian, Emergency Medical Technician (EMT), dietitian and pharmacist. 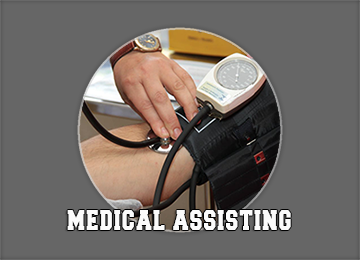 Students who complete four years are equipped with practical skills as well as an in depth knowledge of biology, anatomy and physiology, and medical terminology that will help prepare them to continue their education in a chosen medical field or enter directly into a health science career. Program graduates earn a high school diploma and an industry-recognized EMT and CPR certifications. Students have the opportunity to earn multiple college credits through articulation and dual enrollment agreements with Rutgers, Stockton, Rowan College at Gloucester County and Atlantic Cape Community College. The Academy of Information Technology is designed to provide students with two separate and distinct career pathways. Students have the opportunity to specialize in a particular area of interest they choose between Video & Graphics or Hardware & Programming. Information Technology (IT) remains one of the fastest growing and highest paid employment sectors in our area. Our students have the opportunity to utilize the most current hardware and software on the market which prepares them for these high paying/high interest careers in industry. 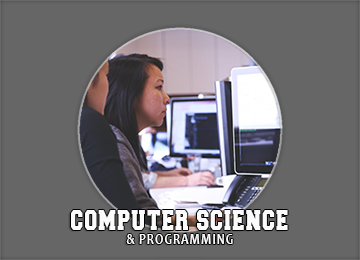 Students can advance their studies at the post-secondary level with a solid foundation in the field or pursue careers as a software engineer, game programmer, database manager or other IT occupation. Program graduates earn a high school diploma, industry recognized certificates in Microsoft MTA, Adobe Certified, IC3 and NOCTI, as well as multiple college credits through articulation and dual enrollment agreements with Rutgers, Stockton, Rowan College at Gloucester County and Atlantic Cape Community College. The STEM career cluster encompasses an extraordinary array of career paths that are interrelated. It is the focus of this academy to provide students with an understanding of the engineering process as it relates to the real world. Students are provided a strong background in advanced concepts in physics, as well as the mathematics necessary for advanced study. The major focus of this course of study is to expose students to the design process, engineering standards, electrical technology, research and analysis, technical documentation, global and human impacts, communication methods and teamwork. Students participate in capstone projects involving product development, civil or mechanical designs, robotics and rocketry. 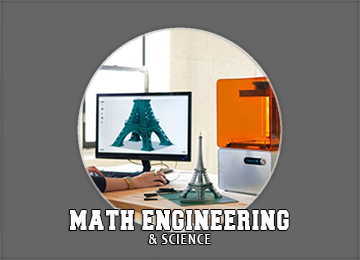 The students have the opportunity to create, build or reverse engineer projects using laser cutters, 3 D Printers and CNC machines. Program graduates earn a high school diploma, a NOCTI Certification, and EIF Certification. Students have the opportunity to earn multiple college credits through articulation and dual enrollment agreements with Stockton, Rowan College at Gloucester County and Atlantic Cape Community College. 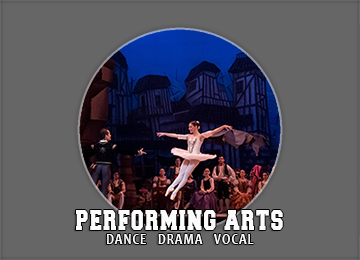 The Academy of Performing Arts is a four year program that prepares students academically for entry into post-secondary performing arts programs as well as professional careers. Students spend their first year in an exploratory program learning various aspects of ACIT's Performing Arts Academy. For the remainder of the program, students select an area of concentration in either dance, vocal music, or drama. Students are required to participate, either as a performer or technician, in academy productions and community events. Students have the opportunity to earn multiple college credits through articulation and dual enrollment agreements with Stockton, Rowan College at Gloucester County and Atlantic Cape Community College. The JROTC program provides a four-year, sequential program of instruction that emphasizes academic preparation, citizenship, leadership and character development. 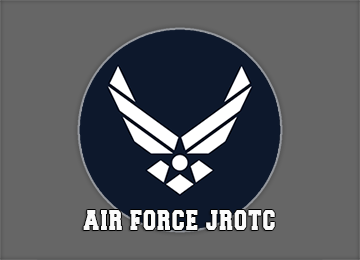 The objectives of the Air Force JROTC are to educate and train high school cadets in citizenship, promote community service, instill responsibility, character, and self-discipline and provide instruction in air and space fundamentals. Program graduates earn a high school diploma and are eligible for various apprenticeship opportunities, college or other post-secondary education programs. Join the Active Duty Military with advanced standing upon completion of basic training (one or two ranks up depending on the service) Attend college and join the respective program ROTC possibly with scholarship. After graduation member may be commissioned by the service depending on the needs of the service at that time. Join the National Guard or Reserves and earn advanced standing (see item 1) and also receive scholarship money for college while only serving part time. National Guard will pay for tuition at a state institution or the equivalent amount at a private institution. GI Bill is earned by members on active duty after finishing a specified time of service (usually available after the first year or upon completing advanced technical training for Guardsmen and Reservists). The Master Automotive Service Technology (MAST) program, the highest level of national accreditation, is based upon the eight areas of vehicle repair as designated by the National Institute of Automotive Service Excellence (ASE) and accredited by the National Automotive Technicians Education Foundation (NATEF). 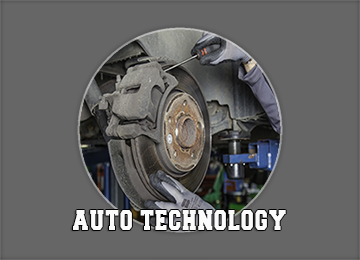 These eight areas include: Brakes, Steering and Suspension, Electrical and Electronics, Heating and Air Conditioning, Engine Performance, Engine Repair, Automatic Transmission/Transaxle, Manual Transmission and Axles. The automotive program also infuses auto collision repair. This curriculum includes refinishing, full auto body painting, as well as MIG and aluminum welding. Successful completion of this four year program will provide the skills and certifications necessary to enter the workforce as an entry-level automotive technician. Program graduates earn a high school diploma, industry recognized ASE certifications, as well as have the opportunity to earn multiple college credits through articulation and dual enrollment agreements with Northern Ohio Technical College, Universal Technical Institute, Automotive Training Center ,Camden County College, Rowan College at Gloucester County and Atlantic Cape Community College. Students in this program learn crucial skills necessary for employment in fields of architecture, civil engineering, electrical engineering, structural engineering, mechanical engineering, surveying, landscape design, construction and other related areas. Students will be taught software fundamentals focused upon Architectural Drafting, Architectural Desktop, Revit Architecture, Auto-CADD and 3-D Studio Max. Students will also be introduced to the field of Geographic Information Systems (GIS) and Global Positioning Systems (GPS). 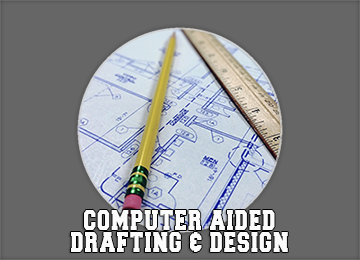 Upon completion of the program, students can earn a high school diploma, Revit Certification,and will qualify to seek employment as an entry level draftsperson or continue their advanced studies in engineering and/or architecture design. 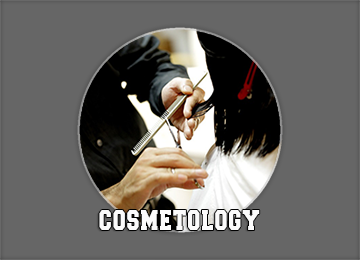 The Cosmetology Program covers all of the content required by the State Board of Cosmetology to meet the New Jersey requirements for licensure. Within the program, students must complete a minimum of 1,000 hours of instruction and attain competencies in each of the following areas: State Law and Regulations, Sanitization and Sterilization, Skin Care and Shaving, Hair and Scalp Treatments, Shampooing, Hair Styling, Hair Coloring, Chemical Curl Reformation, Manicuring and Pedicuring, Related Sciences, Professional Ethics and Shop/Salon Management. As part of the eleventh and twelfth grade curriculum, students will work and operate the school-based salon and gain valuable industry experience by offering a wide range of services. Upon high school completion, students will earn a high school diploma, log their required training hours, and be prepared to take the State Board exam. This program enables students to develop the basic knowledge and skills required for an entry level position as a Dental Assistant. The curriculum teaches four-handed dentistry and lab skills, prevention techniques, operative treatment. 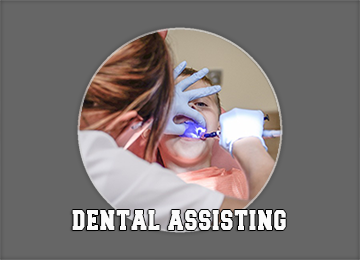 This program prepares students to pursue dental careers such as dental hygienist, lab technician, x-ray technician, dentist, as well as offers a direct pathway for those who choose to enter a career as a dental assistant. Students in this program review dental terminology, dental anatomy, dental materials, infection control procedures, prosthodontics, oral surgery, periodontics, endodontics, orthodontic and dental radiology. Upon program completion, students will earn a high school diploma, NOCTI and CPR certifications and will be eligible to take the Dental Association Exam. Students also have the opportunity to earn multiple college credits through articulation and dual enrollment agreements with Stockton, Rowan College at Gloucester County and Atlantic Cape Community College. 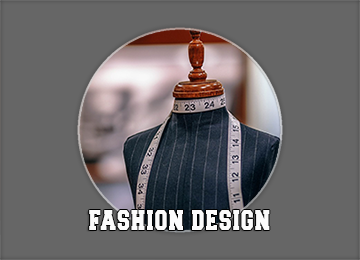 Students entering this program will acquire the basic knowledge needed for all areas of the fashion industry. They will be introduced to style and line, figure analysis, color theory, garment construction, textiles, and numerous hand sewing techniques as well as marketing and manufacturing both nationally and internationally. Students design and showcase their garments in yearly fashion shows. Program graduates earn an industry recognized NOCTI certification and can continue their education or work in the fashion industry upon graduation. Upon high school completion, students will earn a high school diploma and also have the opportunity to earn multiple college credits through dual enrollment agreements with Stockton University, Rowan College at Gloucester County and Atlantic Cape Community College.